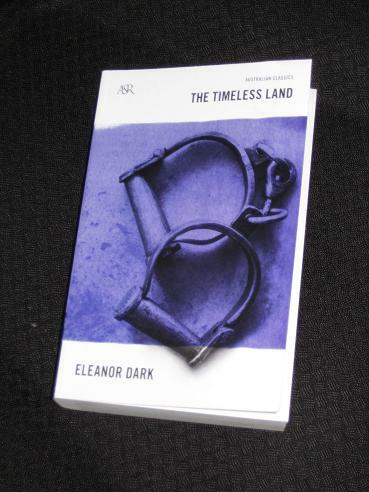 Eleanor Dark’s The Timeless Land (one of the reissued Angus and Robertson Classics series, review copy courtesy of Harper Collins Australia) was first published in 1941, but tells of the first years of European settlement in Australia, from the arrival of the first fleet in 1788 to the departure of the first Governor in 1792. It’s a meticulously-researched, fictionalised account of life and struggles in the new colony, where the British colonists (and convicts) attempt to obtain a first toehold on a vast, timeless continent. We start though, not with the white men, but with Bennilong, a member of the local Aboriginal tribe. He and his father, a famous Youara-gurrugin (a maker of songs), have long been expecting the return of the white men in their ‘winged boats’, and often trek out to the cliffs, hoping for a glimpse of the ships. It is not until after his father’s death that Bennilong’s vision is realised, but the dream soon turns sour. You see, unlike last time, when the white men soon went home, it appears that this time the visitors are here to stay. The novel runs to almost six-hundred pages, and that gives the writer plenty of scope to explore the realities of life in a colony far from home. Having begun as a place to dump undesirables from Mother England, the colony has a surplus of unhappy convicts (both male and female) and a lack of the people who would actually be useful (e.g. farmers and tradesmen). There aren’t enough tools or decent clothing, and as the gaps between the arrival of supply ships stretches out into months, the threat of starvation looms ever closer. Controlling the colony and constructing a town is hard enough then, so the frequent infighting and power struggles between the civilian and military authorities is not exactly going to help matters any. “Tirrawuul saw a smallish man, quite incredibly ugly, with a pale face and a very large nose. He was covered from head to foot, and, though his coverings were not as splendid as those of the men with the weapons, Tirrawuul, himself a leader, could recognise in him a confidence and authority which required no outward trappings. While the novel (the first in a trilogy) has multiple strands and a whole host of characters, both real and imagined, the reader always comes back to two: Governor Phillip and the fiery Bennilong. Fate has decreed that they be there at the start of something much bigger than themselves or their tribes, and both are changed (not necessarily for the better) by the encounter. The two grow to admire aspects of the other culture, and they are formed by the land, making something new – the start of a new country. Tony, I had no idea there were sequels to this novel, one of my favourite Australian pieces of writing. 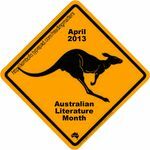 So, lucky I saw your comment on Whispering Gums' blog and came here to read this: thanks!